Only now has it become apparent that federal taxpayers, not Illinoisans, will be funding most of the public support for the controversial Obama Center to be built on Chicago’s Southside. Wirepoints has learned from administrative officials and legislators that at least $139 million — 80% of the public funding for the center — almost certainly will be reimbursed by the federal government. The project was already under attack for a number of other reasons, including a First Amendment “compelled speech” claim that it would force taxpayers to fund private, political advocacy. 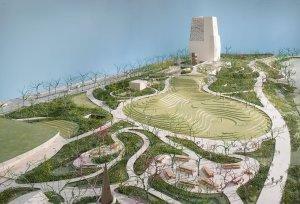 The center was initially pitched as a privately funded presidential library. Many Illinois taxpayers therefore were angered to learn that at least $174 million was included in the state’s 1,246-page budget presented in May to rank and file General Assembly members only hours before their vote. Nor will the center be a presidential library. However, it turns out that federal taxpayers will be the ones compelled to make the subsidy. The Illinois appropriation is for roadway and transit reconfigurations needed to accommodate the center, and 80% of such spending is generally reimbursable by the federal government. Wirepoints has confirmed with state officials that federal reimbursement of at least $139 million is highly likely. The center is already subject to a federal lawsuit with a First Amendment claim based on taxpayer support for a private, political purpose. A lawsuit of that type is difficult to win, but it may be bolstered by the recent Janus decision by the United States Supreme Court. Janus was based on the prohibition of compelled speech, and that same doctrine underpins the First Amendment claim about the center. Contrary to its clear, initial description as a presidential library, it won’t be one. The center will be owned and run by the Obama Foundation, not the National Archives and Records Administration, as are presidential libraries. Obama’s records, artifacts and papers will not be there. Initial claims that it would be funded entirely with private money also evaporated. “Construction and maintenance will be funded by private donations, and no taxpayer money will go to the foundation,” the foundation’s spokeswoman said. The interpretation was that assured 100 percent private funding. That’s easy to answer in Illinois. Chicago politicians asked for it and they get what they want. “Another fast one by Chicago pols,” as one Illinois paper put it. The federal lawsuit was filed by Protect our Parks, a not-for-profit. 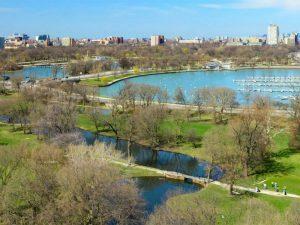 It alleges that the transfer of land from Chicago’s Jackson Park to the Obama Foundation, at no cost, violated state law a number of ways. It was a “bait and switch,” the legal complaint says. The land was transferred under the pretense of being a privately funded presidential library but in fact will be used for a private purpose. The First Amendment claim in the lawsuit is particularly interesting. The suit was filed prior to Illinois’ appropriation of money for the center. The claim is based, instead, on authorization for a special property tax levy for the center. Using any source of taxpayer money for a private political purpose may violate the First Amendment because it is compelled speech. But now, with the state appropriation completed and federal reimbursement uncovered, much more money is at issue and it’s a matter for all Americans. Forcing free and independent individuals to endorse ideas they find objectionable is always demeaning, and for this reason, one of our land­ mark free speech cases said that a law commanding “in­ voluntary affirmation” of objected-to beliefs would require “even more immediate and urgent grounds” than a law demanding silence. “Compelling a person to subsidize the speech of other private speakers raises similar First Amendment con­cerns,” added the court. That’s what’s alleged in the lawsuit against the Obama Foundation — forcing taxpayers to subsidize the a center to be used to preach Obama’s politics. It’s conceivable federal reimbursement will not materialize. Illinois could elect to pay towards the center though a bond offering, in which case, we are told by state officials, reimbursement is not available. The state could also essentially elect to use its access to federal reimbursement for other projects. Again, however, those possibilities are not anticipated, according to our sources, and federal reimbursement is fully expected. Some may argue that spending for roadway and transit reconfiguration isn’t really part of the project. That’s specious. The spending is necessitated entirely by the project. It’s part and parcel of the center. The precise amount of taxpayer money to go towards the Obama Center is subject to some interpretation and dispute, though it’s at least $174 million. A specific appropriation for $180 million is in Section 105 on page 664 of the new Illinois budget, though we are told the current cost estimate is just $174. Another $12 million is appropriated in Section 100 on that page for a transit station, though there’s some opinion that the station is separate from the center. Together with other transit station money, the Washington Examiner pegged the grand total Illinois appropriation at $224 million. Accordingly, the 80% reimbursed by federal taxpayers may be significantly higher than $139 million. That difference in the numbers matters little. Nor does it matter whether the First Amendment claim is truly viable in court. What matters is that funding by any taxpayers for the center is wrong and that the public has been duped. 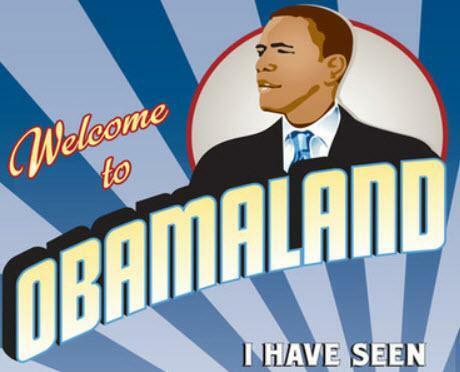 A privately funded presidential library morphed into a monument to hubris and the arrogance of power: Obamaland.